The majority of the away section chanted “Rudi, Rudi, Rudi” after seeing his passion in what was an emotional moment for those at the club. Manchester City’s huge win helped propel them back above their main title rivals Liverpool, as Sergio Aguero’s hat-trick, a Raheem Sterling brace and Ilkay Gündogan’s long-range effort humbled the Stamford Bridge club. 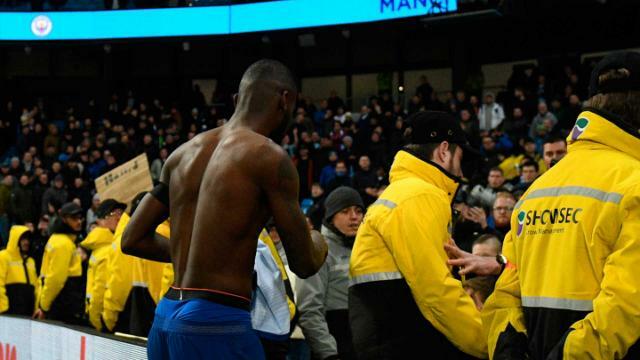 Chelsea’s vice-captain Cesar Azpilicueta was one of the few to face the media after the painful result, and he used the opportunity to apologise to fans. “It is one of the worst nights in my career. It is difficult to explain what happened,” he told Sky Sports .